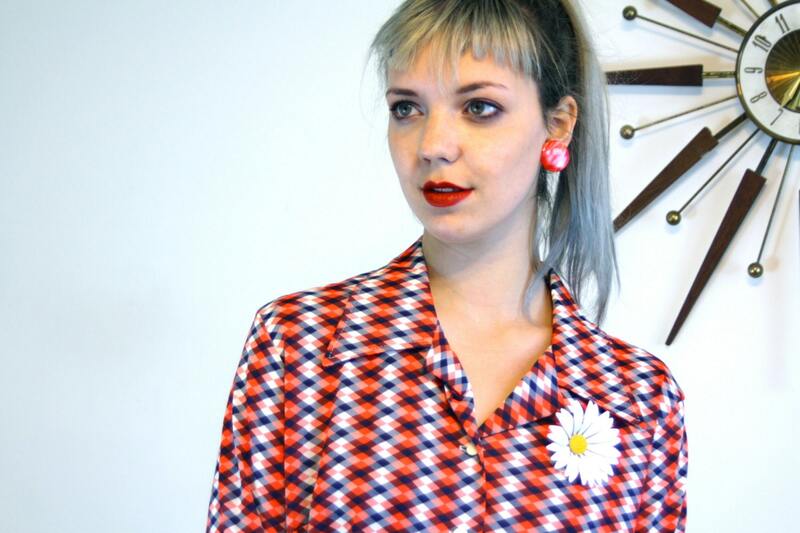 Beautiful, bright tomato red, white and navy blue vintage 1960s blouse! This 60s long sleeve top Is so cool! 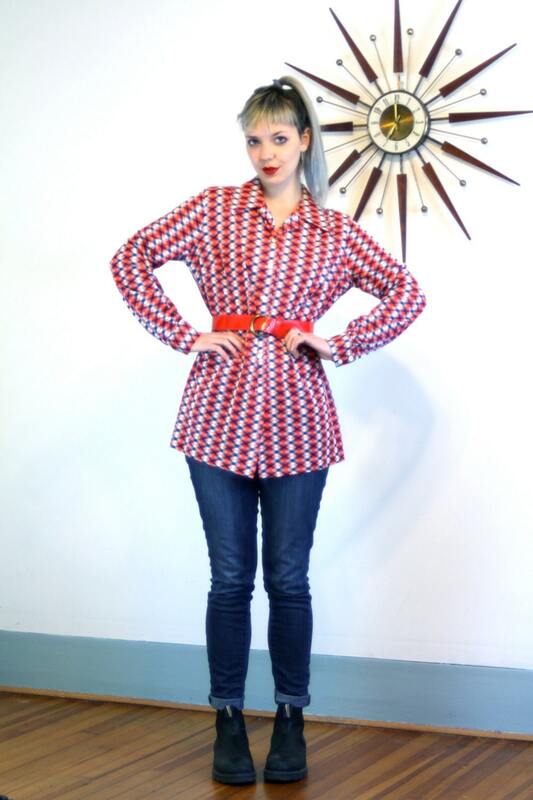 It is a geometric, argyle print, with a big butterfly collar! 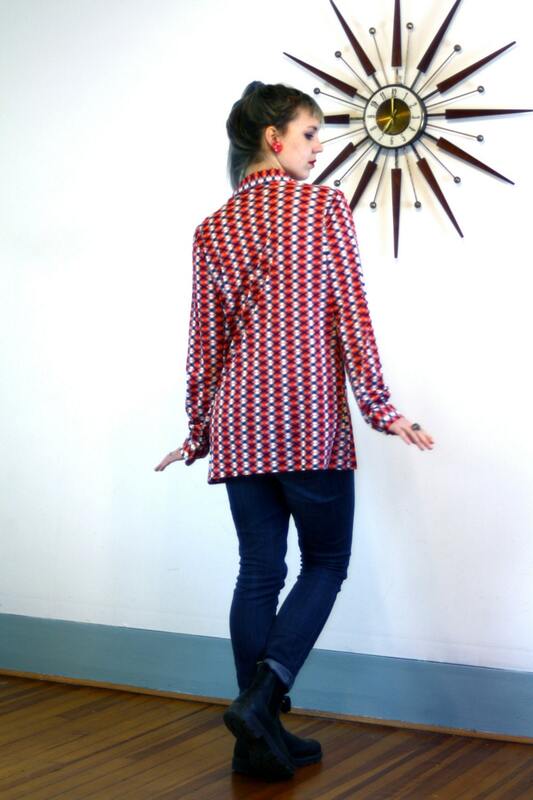 This 76s button down shirt is unisex, and can be worn by a man or woman! Just imagine all the complements and conversations you will have wearing this little piece! You will know you are the only one on earth who owns it! To have a one of a kind... that is the magic of Vintage! Model Measurements: - B:34", W:25", H:37"
Condition: Excellent. Only some normal ware from age. *flower brooch not included in listing.